rEVolution, the ‘Woodstock of eMobility’, gathered professionals and thought leaders from 57 countries worldwide in Amsterdam. Amsterdam, March 28th, 2019. Last Tuesday March 19, EVBox hosted rEVolution - Europe’s largest eMobility networking and idea-sharing conference - in Amsterdam. This is the third edition of rEVolution since the conference’s conception in 2017. Since then the annual conference has not only doubled yearly in attendees, but also in ambition and importance. As proven by the increasing number of attendees, mobility (and especially the transition towards sustainable mobility) is becoming a more important topic each year. As the effects of climate change are becoming a bigger concern, many organizations, governments, companies, and individuals have placed eMobility high on their agenda. At rEVolution 2019, the attendees, from 57 countries worldwide, came together for exactly this reason - to participate in the fight against climate change. rEVolution allowed attendees to join forces and together come up with new and creative solutions to accelerate the transition to sustainable mobility. Various solutions were conceived during workshops hosted by noted organizations such as the World Business Council for Sustainable Mobility, McKinsey, the City of Amsterdam, EV100, and Singularity University as well as during the many networking opportunities throughout the day. We are one people, traveling on one planet, towards one future. 4 years ago, we had a choice to make: be part of the problem or be part of the solution. That’s how we became the pioneer in renewable energy. Electric vehicles are much more efficient. With the same energy input, they can drive four times as far as a comparable diesel. Volkswagen is committed to have an emission free fleet by 2050.
rEVolution 2019 also hosted the world’s first ever Climate Confession booth: a place for attendees with a guilty conscience to confess their environmental sins. Often-mentioned climate sins include air travel, car travel, meat consumption, and lack of recycling. Other climate sins mentioned include online shopping deliveries, long showers, and thermostat settings. These confessions prove that the fight against climate change can and must also be fought on an individual level, and not only on a government or corporate level. 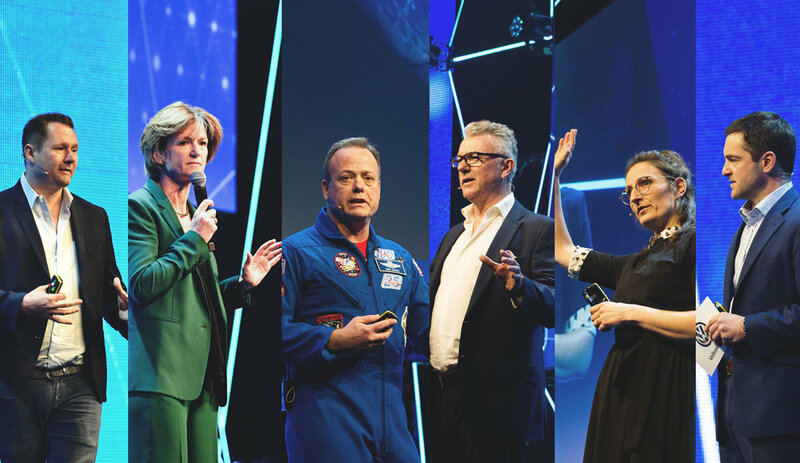 Besides rEVolution 2020 (confirmed for March 31, 2020 in Amsterdam) rEVolution will grow to also include local events across the globe, starting with a local edition in North America later this year. Stay tuned with the latest rEVolution updates here.